Home » News » What’s Your Recipe for a Better Food System? 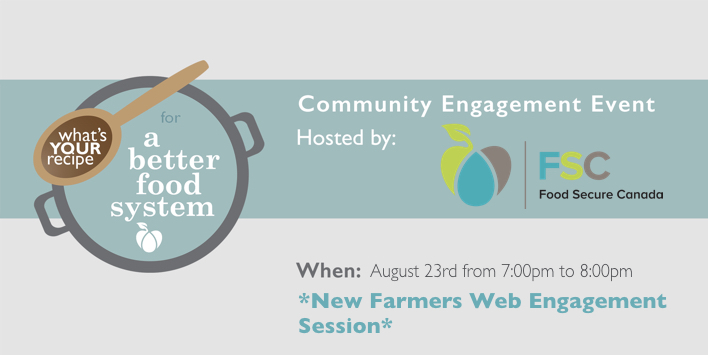 This is an opportunity to share your perspectives and experiences on how the federal government can better support new farmers and build a healthy, just and sustainable food system. A summary report will be drafted from the conversation and submitted as part of Food Secure Canada’s Report on What’s Your Recipe For A Better Food System? Events towards the consultations being led by Agriculture and Agri-foods Canada. Find the details and register here.